Hot new couple alert! Ariel Winter has confirmed her romance with Canadian actor Levi Meaden. The two were spotted sharing an intimate kiss while out and about in West Hollywood last Saturday. Ariel Winter and her new boyfriend Levi Meaden sharing an intimate kiss while out in West Hollywood on November 26, 2016. The “Modern Family” star looked happy as she walked alongside her beau. Ariel ended her two-year relationship with Laurent Claude Gaudette in June, so it’s great to see her smiling with a new man. The pair not only spent Thanksgiving together, they also vacationed together in Mexico earlier this month. The actress was glowing even in a casual pair of distressed jeans and a white, long-sleeved t-shirt. She finished her easy-breezy ensemble with Adidas “Superstar” sneakers in white along with a black handbag and aviators. Ariel Winter is glowing while out with Levi Meaden in jeans and a t-shirt paired with Adidas “Superstar” sneakers. 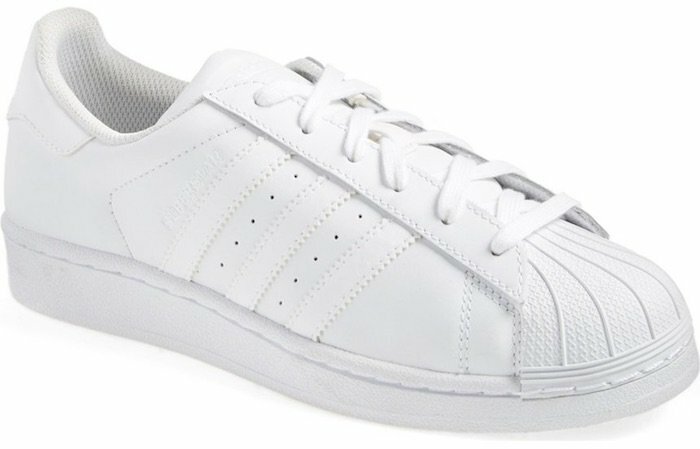 Channel Ariel’s comfortable style with a pair of “Superstar” sneakers available for purchase at Nordstrom and Adidas. 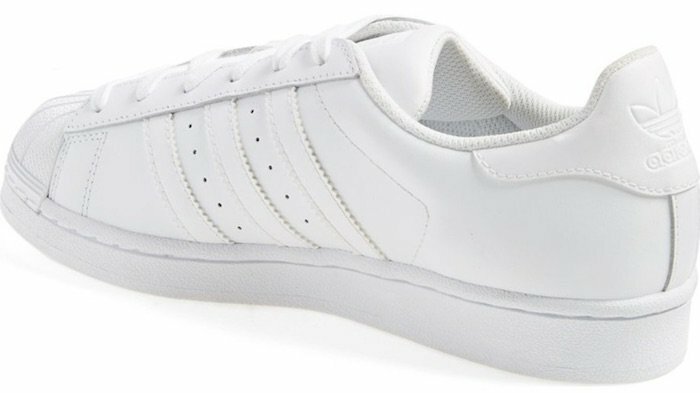 Adidas “Superstar” Sneakers, $79.95 – $80 at Nordstrom and Adidas.